Learn more about our schools history. 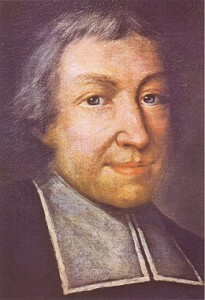 John Baptist was a French priest, educational reformer, and founder of the Institute of the Brothers of the Christian Schools, who later became known as the De La Salle Brothers. Had not the Rathangan brothers Joseph and Patrick Flood joined the De La Salle Brothers in 1879, it is quite possible that Scoil na Mainistreach De La Salle may never had existed. The local P.P. met the two brothers who were home on holiday in 1883, he was so impressed by them that he invited the De La Salle order to staff his school rather than any other order. Br. Michael Devoy was the first director and together, with Br. Ignatius Flood, began teaching on July 1st 1884. In less than three weeks the school population rose from 30 to 107 boys. The “old school” was destroyed by fire in 1917 and the present “old building” replaced it shortly afterwards. This, combined with St. Conleth’s Hall (the present Day Care Centre) and some prefabs, housed pupils and teachers until further extensions were added in 1972 and 1979. The De La Salle Campus(as it is now known) has changed little since then. 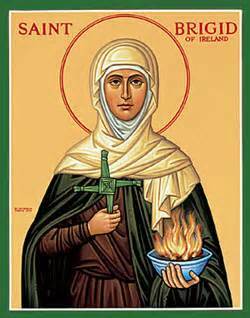 Nano founded the “Sisters of the Presentation of the Blessed Virgin Mary” (PBVM) in Ireland (also known as the “Presentation Sisters”). 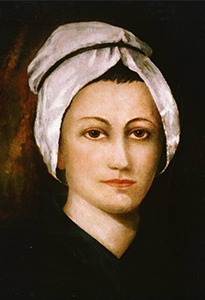 She was declared venerable in the Roman Catholic Church on 31 October 2013 by Pope Francis. Nano Nagle lived in a period in Irish history when the English had imposed the Penal Laws, which severely limited the Irish people. The Irish were denied access economically, politically, socially, and educationally to the rights and means that would have raised them from poverty and oppression.Nano saw that the people were sad because they were not allowed do all of these things and she wanted to help them. She knew it would be dangerous for her, as it was against the law, but despite this, she opened seven schools in Cork city. Thus began the long association between the Presentation Sisters and education in Ireland. In 1829 they came to Kildare and opened a primary school. In 1969 they opened a new primary school called Scoil Bhríde Naofa (now known as The Presentation Campus), and turned the old one into a secondary school. On the first of September, 2013, these two fine schools with their proud traditions, amalgamated and joined forces to offer a co-educational primary education in Kildare Town. With nearly one thousand children and a staff of over seventy people, the new school comprises of three separate campuses. Infants up to Second Class can be found on The Presentation Campus, Academy Building handles the 3rd, 4th classes and the Rainbow and Sunshine special classes, with Fifth & Sixth Classes on The De La Salle Campus. This is our school… St. Brigid’s Primary School.